All of us use the internet almost all the times. We connect to different connections. Sometimes we connect to public wireless connections when out of the house. Most of us are unaware of how vulnerable we are to online attacks through open internet networks. It is very easy for hackers to reach our data when we are using Wi-Fi in public places. One of the best ways to protect yourself from the threat of open networks is to ensure end to end encryption of your data. This gives it security and insulates it from the possibility of malicious use. Once the hacker obtains our IP address, it becomes easy for hackers and eavesdroppers to make identity fraud and data breaches. According to the Checkpoint Mobile Security Team, close to 5 million popular android phones came pre-installed with a malware dubbed “RottenSys.” RottenSys is a “System Wi-Fi Service” app. These devices were in circulation since September 2016. And are still in the market as of March 2018. This malware was found on smartphones by leading brands such as Xiaomi, Honor, Huawei, Samsung, Vivo, Oppo and Gionee. Such malware can compromise any information present on the device. That is why the security of data can only be guaranteed if there is an end to end encryption in the transfer. Other than pre-existing malware, other malware or viruses can get into your system while surfing the net. Online users should use a VPN service to ensure their networks are safe. TOR is an acronym for “The Onion Router.” It came up as a US military initiative to mask IP addresses while browsing information online. TOR has since been replaced in the military by high anonymity VPN systems. And TOR itself has been released as an open source free software. TOR uses a multi-proxy network, that is, it does not rely on specific proxy servers, but rather uses the connections of multiple other TOR users to mask the IP of the original user. This provides great anonymity on the web, great security, and end to end encryption of data. Most of us prefer our privacy while browsing the internet. More importantly, we have a lot of sensitive data stored online – be it financial data in the form of bank account details, personal data in the form of governmental ID or even company data stored in specific servers. We are vulnerable to a lot of damage in case any of this data fall into the hands of a malicious third party. This is why the issue of using security measures like VPN becomes so important, and the value of browsers like TOR increases. Masking our IP is necessary to keep ourselves safe online, and the methods mentioned here will help you achieve it. There are many VPN providers who try to woo the customers with the free services. However, you should pick a trusted VPN provider, i.e., Le VPN. Le VPN offers very strong encryption through its highly secure VPN tunnel. 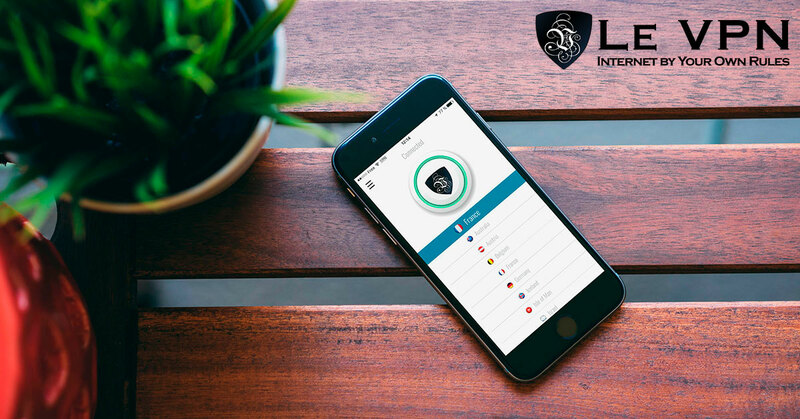 You can use a VPN server from any of 114 countries, where Le VPN offers its services.